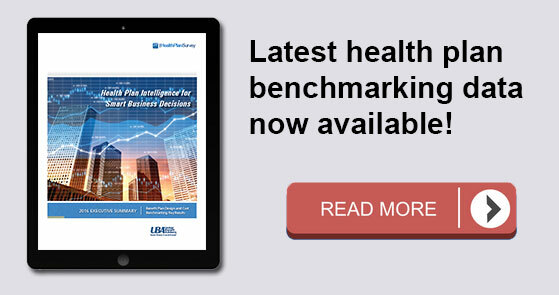 The 2016 UBA Health Plan Survey contains the validated responses of 19,557 health plans and 11,524 employers, who cumulatively employ over two and a half million employees and insure more than five million total lives. Our data reflects the experiences of 99% of U.S. businesses in rough proportion to their actual prevalence, not just the largest employers who are often the sole focus in other surveys. As a result, our findings are extensive, so we’ve compiled a topline list of the biggest trends below. Cost-shifting, plan changes and other protections work to hold rates steady. Increased prevalence and enrollment in lower-cost CDHP and HMO plans. “Grandmothered” employers continue to have the options they need to select cheaper plans (ACA- compliant community-rated plans versus pre-ACA composite/health-rated plans) depending on the health status of their groups. The Protecting Affordable Coverage for Employees (PACE) Act protects employers with 51 to 99 employees from higher-cost plans. Increased out-of-network deductibles and out-of-pocket maximums, as well as prescription drug cost shifting, are among the plan design changes influencing premiums. UBA Partners leverage their bargaining power. Overall costs vary significantly by industry and geography. Retail, construction and hospitality employees cost the least to cover; government employees (the historical cost leader) cost the most. Plans in the Northeast cost the most; plans in the Central U.S. cost the least. Retail and construction employees pay the most toward their coverage; government employees pay the least (bad news for taxpayers). Plan design changes strain employees financially. Employee contributions are up, while employer contributions toward total cost are down. Although copays are holding steady, out-of-network deductibles and out-of-pocket maximums are rising. Employers’ contributions to health savings accounts (HSAs) decreased. Pharmacy benefits have more tiers and coinsurance, shifting more prescription drug costs to employees. PPOs, CDHPs have the biggest impact. Preferred provider organization (PPO) plans cost more than average, but still dominate the market. Consumer-directed health plans (CDHPs) cost less than average and enrollment is increasing. Overall, wellness program adoption holds steady, but program design is changing. Health risk assessments continue to decline, while chronic condition coaching is on the rise. Metal levels drive plan decisions. Most plans are at the gold or platinum metal level. In the future, we expect this to change since it will be more difficult to meet the ACA metal level requirements and still keep rates in check. Slow, but steady: increase in self-funding for all group sizes, decrease in employees electing dependent coverage, increase in plan options, and mail order pharmaceutical programs more for convenience than cost savings. Cautious trend: increased CDHP prevalence/enrollment. Rapidly emerging: increase of five-tier prescription drug plans, increased out-of-pocket maximums. For a comprehensive discussion of these and other trends, download UBA’s 2016 Health Plan Survey Executive Summary.